Storytelling is having a moment right now. Everyone in the business world seems to be talking about it, even though no one seems quite sure what it really means. Gary Forman is here to help us solve the mystery. Armed with an impressive background in speechwriting and marketing, Gary helps companies formulate their core narratives and brings their stories to life. It is a skill set that has affects whether sales get made, deals get done, ventures get funded…and whether access is gained to those who can make bring your most desirable realities to life. Why the right narrative has the power to connect you to anyone. Why businesses fail to tell engaging and effective stories. How to master your message in any environment. Why natural curiosity is the driving force behind making connections. 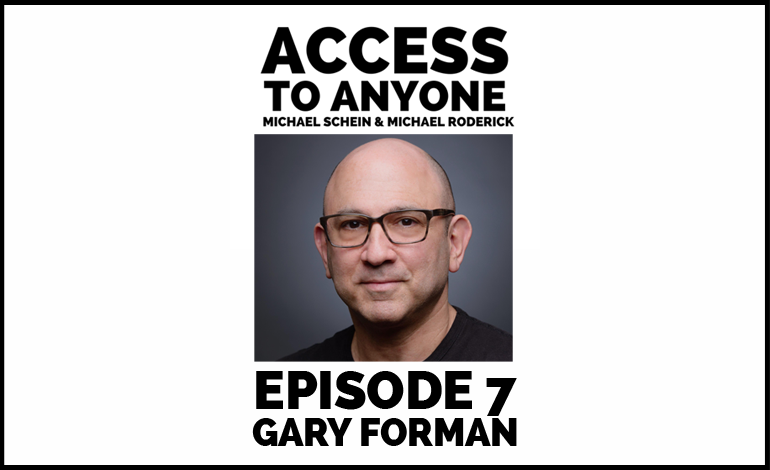 Gary Forman is a speechwriter, strategist and creative director who helps clients develop and execute compelling communications. As an executive, he was the Head of Product Marketing at Magento and a Director of Commerce Innovation at eBay. As founder of Gary Forman Creative, LLC, his experiential marketing combine storytelling and stagecraft to create innovative and memorable live experiences that engage hearts and minds. Gary works with CEOs, scientists, artists, entrepreneurs, and marketing and sales leaders who want to maximize their impact.